After starting out as an assistant to father and successful racehorse trainer Paddy Mullins, Willie Mullins was able to make his own reputation through stepping up to training racehorses and even being successful as a jockey. Now ranking as one of the most highly-rated racehorse trainers in the sport, you’ll find that a lot of the UK and Ireland’s best horses came from the Willie Mullins Stable. Through the insight handed to him by his father - as well as mentor Jim Bolger - Willie Mullins earned the honour of Amateur Champion Jockey in Ireland six times and won an array of different prestigious races both as a jockey and a trainer. Willie Mullins horses are in circulation throughout the sport and he’s set to carry on his knowledge of horse racing down to another generation through his son, who currently competes as an amateur jockey. As a jockey, Willie Mullins won the 1983 Aintree Fox Hunters’ Chase with Atha Cliath and the 1996 Cheltenham Bumper with Wither or Which. While his time as a jockey was full of promise, he was able to find even more success as a trainer in the years that followed. If you’re looking for horses to follow, you’ll find plenty of options with Willie Mullins. He notably trained Hedgehunter to win the 2005 Grand National, in a race which certainly caught the attention of horse racing fans. He then won the Champion Hurdle twice with Hurricane Fly in 2011 and 2013, before being crowned winner of the Ryanair Chase in 2016 with Vautour. Overall, Willie Mullins has overseen at least 3,000 winning horses, which was a target they achieved in the 2018 Boylesports App Hurdle at Wexford, where his nephew Danny Mullins rode Timi Roli to a landmark win for Willie Mullins Racing. His skill for training horses has gained him the title of Champion Trainer every year since the 2008/09 season, and it’s hard to imagine that any professional trainer will be able to surpass his achievements, especially with foundations in place to continue his work into future years. One of the best horses trained by the Willie Mullins racing team is Quevega, who was able to win the David Nicholson Mares’ Hurdle at Cheltenham Festival six times, but his quality was especially proven in 2015, where the top three horses in the Cheltenham Festival Champion Hurdle were trained by Willie Mullins. Over the 2015 Cheltenham Festival, a total of eight race winners were Willie Mullins horses, which was a record until Gordon Elliott matched the tally in the 2018 edition of the festival. 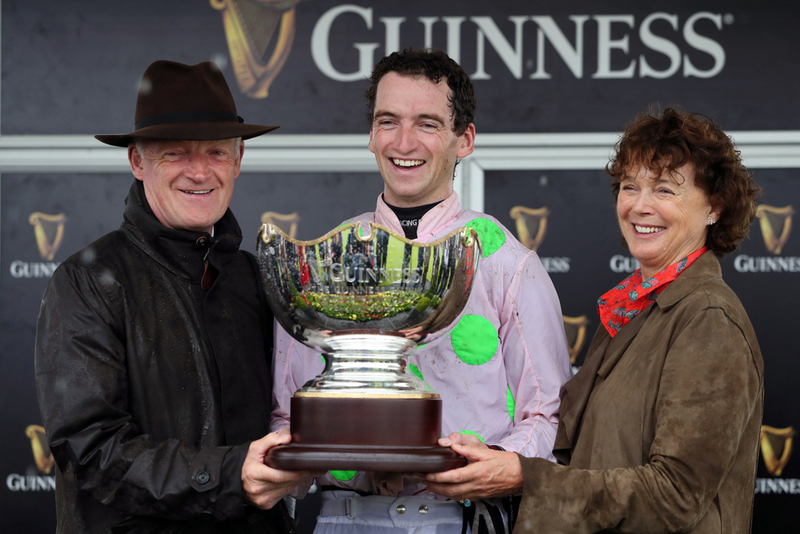 A lot of punters will currently recognise Willie Mullins for Douvan, who has been an incredible thoroughbred in recent times through its record of fourteen wins and one place from sixteen runs. Accolades include wins in 2015 from the Moscow Flyer Novice Hurdle, the Supreme Novices’ Hurdle and the Racing Post Novice Chase, as well as a selection of wins in 2016 in the Arkle Novice Chase, the Arkle Challenge Trophy, the Maghull Novices’ Chase, the Ryanair Novice Chase, the Hilly Way Chase and the Paddy Power Cashcard Chase. As so many horses are trained by Willie Mullins, you’re likely to find that most of the favourites you consider backing to win or place in major race meetings come from Willie Mullins stables. As an example of just how many horses are trained by Willie Mullins racing, there were more than forty at Cheltenham Festival 2018 alone, with most of these nags being among the favourites in their respective runs. Not only is Willie Mullins a trainer with heaps of experience and a pedigree for success, but his team are just as qualified. At Willie Mullins stable, Ruby Walsh is part of his team and he’s easily regarded as one of the world’s best jockeys. Handed the Champion Jockey title on twelve separate occasion, Ruby Walsh has ridden over 2,000 winners and has arguably been an influential part of the dominance that Willie Mullins has had over horse racing for more than a decade. Mullin's stables are infamous when it comes to training some of the best race horse's in the business. Here we list some of the best horses to come from the Mullins stable's, along with potential racing legends. Just click on the horse's name to be taken the relevant horse page.